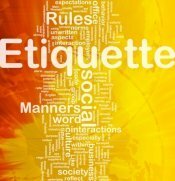 Buffet etiquette finds its place toward the casual end of the dining etiquette spectrum. When you're mindful of the situation and show consideration to others, it's difficult to do it wrong. 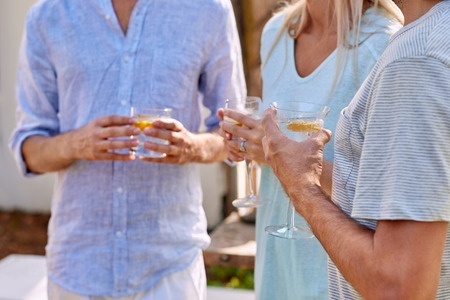 However, as with any social situation, knowing what to do makes it easier to feel comfortable and to extend that feeling of comfort to other people, too. Most buffets do not feature gourmet foods and many times cloth napkins won’t be found. But still, good table manners are called for. Smorgasbord? Serve yourself affair? Salad bar? All you can eat? Each of these fall into the category for which buffet etiquette applies. Wash your hands. Many people will be touching the serving utensils. Be patient to line up and while standing in line. Take modest servings, and only what you know you can eat. There are usually many item choices, but it's better to maintain decorum and not stack your plate high with food just because it is offered. You can always make a second round through. Select your food in courses if you can, depending on the kind of buffet it is. It is unappetizing to see meat, pizza, mashed potatoes, salad all on one plate. If it’s a one-time-through buffet, try to accommodate accordingly. If you return to the line, leave your plate behind and get a clean plate. The same goes for beverages if you need a refill. Always use the serving utensil provided for each item. Never interchange as food ingredients can mix and ruin the taste for other people. When you sit down you can begin eating. 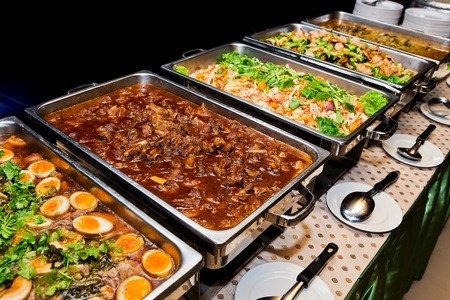 However, if you are at a gala affair and your table has been invited to the buffet line, you will arrive back at your table along with others. 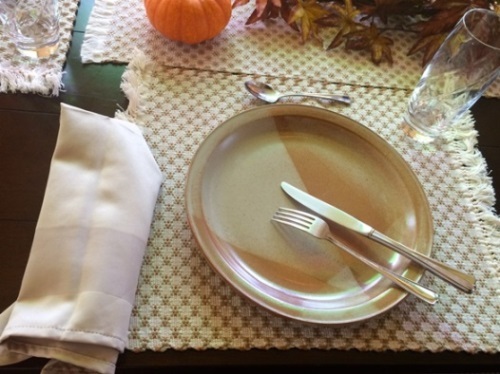 As a courtesy, wait until two or three table companions arrive before eating. Change your mind about an item you selected? Don’t put it back. Make sure the service handle does not touch the food when you replace it. And avoid laying a service tool on the serving table unless there is a specified resting plate for it. Never use your hands to take food. If there is no serving tool, ask for one. If it’s a finger food buffet, you might accommodate by using the fork you will eat with (if unused at the time). Please do not cough or sneeze near the food. Step out of the line or turn away and use a napkin or handkerchief to cover your mouth and nose. Don’t be a space invader, reaching around or in front of someone who is serving himself, or standing too close. Respect personal space. Eating begins when you sit down at the table — not in the buffet line. Try not to hold up the line by asking lengthy questions about how the food was prepared. Better to skip it and not keep other hungry people waiting. And lastly: no doggie bags! Eating at buffet restaurants or attending buffet events can be fun and adventurous when there are many new foods to try. Now you know what to do, and what to avoid, to stay in line with buffet etiquette.